With over 400 attendees expected to attend, the event will most likely be the largest user group ever to be assembled for inkjet production printing. This year’s attendees should expect expanded educational opportunities with guidance from subject-matter experts as well as thINK members. Topics to be discussed will address the production side as well as the business side of inkjet printing. 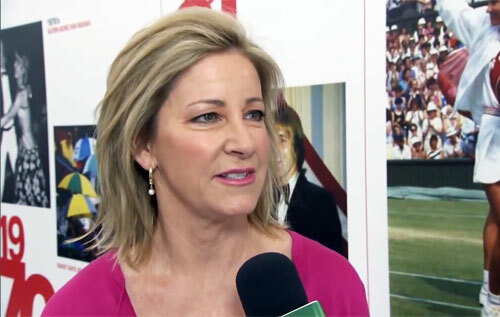 Chris Evert is a former women’s tennis champion whose career spanned between 1974 and 1986. In 1995 she was inducted into the International Tennis Hall of Fame. Chris Evert’s career win–loss record in singles matches of 1,309–146 (.900) is the best of any professional player in tennis history. Evert never lost in the first round of a Grand Slam singles tournament, her earliest exits being in the third round. In women’s doubles, Evert won 3 Grand Slam titles. Evert holds a record 125 consecutive wins on clay courts, a streak broken in 1979 by Tracy Austin. In 1979 she married John Lloyd and began competing as Chris Evert Lloyd. She and Lloyd divorced in 1987. Evert married Olympic skier Andy Mill in 1988 and divorced him in 2006. They have three sons. In 2008 she married professional golfer Greg Norman in The Bahamas. She now lives in Boca Raton, Florida with Norman and her three sons. PFP Sports & Celebrity Talent Agency is a top booking agent for motivational sports speakers and celebrities. If you would like to book tennis greats like Chris Evert for a speaking engagement, personal appearance or special event, you can request Chris Evert agent and speaker information from PFP Sports & Celebrity Talent or call 800.966.1380.